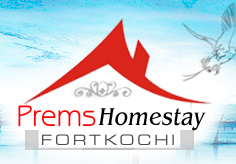 Prem's Homestay is located at Fort Cochin, a small stretch of land towards the western coast in the city of Cochin. 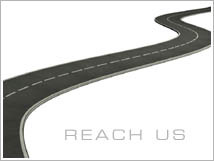 The Cochin International Airport and the Ernakulam Junction & Town railway stations, are the main gateway's to the city of Cochin, apart from the roads. 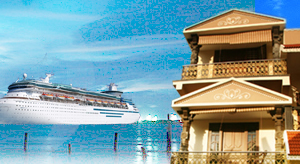 Once you reach Cochin by Air or Train, Fort Kochi can be easily reached by Bus, Cab or Ferry. 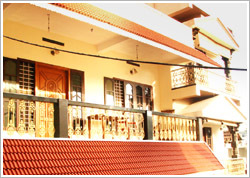 Prem's Homestay offers various types of rooms for accommodating the guests. 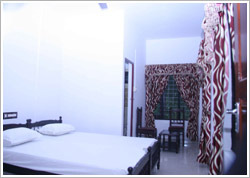 All the rooms are insect proof and well maintained. 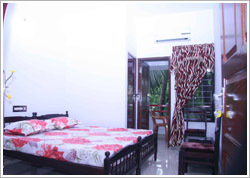 There are special rooms for Family occupancy, with enclosed additional room for kids. 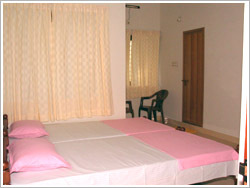 For those who prefer group accommodation, we have a dormitory for group accommodation. 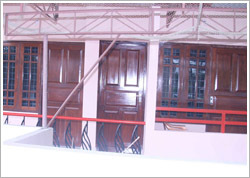 Please take a look at the various room options below to book yours. Ideal for a 5 member family or group of friends.